A lovely bit of NPR/mixed media rendering in the style of an etching. Jack Daniel’s “Label Story”: “Old No. 7″ from Brand New School on Vimeo. This is a great tip for setting up lights quickly, via Andrew at 3dLight: create a new render pass and override all materials to 18% grey, either lambert or with a slight phong when highlight placement is critical. 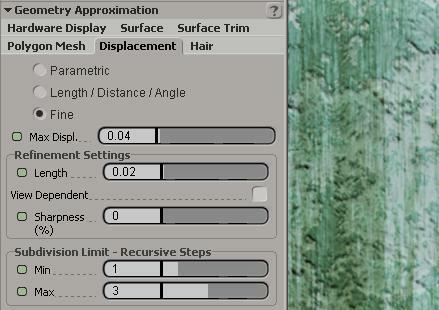 Losing your heavy materials will speed iterations, and the uniform medium grey makes it easier to judge light values on their own. 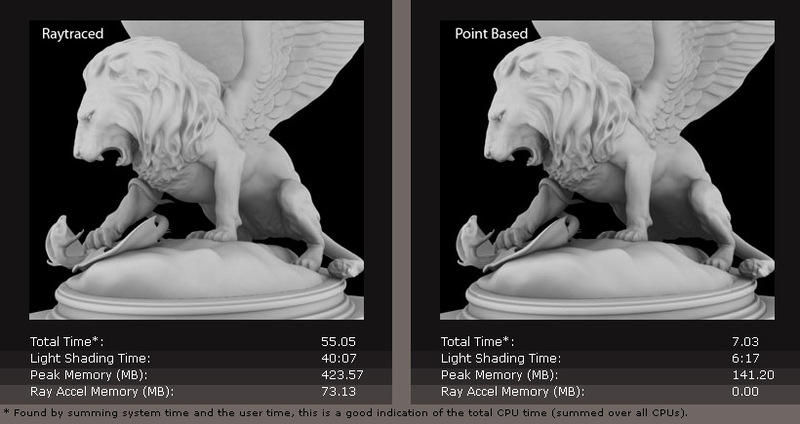 After reading up on the difference between regular, sorted, and segmented ray-traced shadows in mental ray, I have learned that they are increasingly complex and more accurate methods of calling shadow shaders to compute the shadow result. The segmented method also calls volume shaders while the others don’t, so you’ll need it to create volumetric shadow effects with rt shadows. Expensive! Regular and sorted shadows–as I understand–disregard the volume, both any volume shaders, and, it appears, the relative positions of the shadow casting objects. In my case, I didn’t have volumetric effects but rather several shadow-casting cards (gobos or cookies, we used to call them) throwing a shadow on a surface. Just one card by itself by itself renders correctly with all three methods, but a second card won’t cast accurate shadows except with segmented. The answer was one of those solutions that seems so obvious in retrospect. 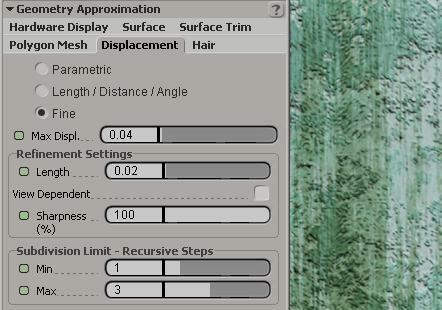 Using photogrammetry or set measurements or what ever you have, build standin geometry that roughly matches the environment. Then you reproject textures from the IBL spheres onto this geometry, based on their world position. (I’m not sure what off-the-shelf tool one would use for this, but I aim to find out.) At this point, you can use the textured geometry as the IBL source, or you can take it a step further and project the IBL back onto an environment sphere centered on the moving subject. I don’t fully understand the resason for this step although I can see how it would speed subsequent rendering significantly. Leaving placeholder geometry as the lightsource would be more expensive but it could get better results for subjects that interact with their environment: more correct reflections, for example. Folllowing up on my variations idea, I should probably just hit these challenges first. Free, ready to go… what if I spent 30 minutes a night pushing one of these forward until it looked great? Maybe giving myself a short, delimited window of time would give me the psychological breathing space/impetus to attempt and finish the project. And if I noted what work I had completed in that 30 minute chunk, after a year I’d have a pretty good idea of how long these tasks take. The full list of lighting challenges on 3D Render.